Daddy comes homes and asks her what she learned that day, and she goes completely blank. I don’t know if she really can’t remember, if she is freezing in the moment, or what the issue is but we are working on it. Cricket is bringing a baby with her to school more and more frequently. This is so she can be the teacher. It’s great to hear her “teaching” and it’s excellent for reinforcement of what we are learning. We continued the same Word Wall system, and did a few new activities this week. She popped the word (written on bubble wrap), and did a write, stamp, decorate page. We started a new theme this week, and Cricket was pleasantly surprised….LEGOS! I used several resources from 1+1+1=1, including these I am sentences. I also made a collection of Lego challenges for Cricket to work on, and the first day she pulled Monochromatic. Can you tell what she created? In our work this week Cricket colored our verse display, reviewed it daily, traced the verse, arranged the words from the verse, and discussed what it meant. She struggled significantly more with memorizing this verse, but by the end of the week she could do it. We finally finished workbook 1 of Horizon K.
I’m hoping some new concepts will be introduced soon, so that Cricket regains interest. I might have to skip ahead, if it doesn’t. Cricket is very interested in experiments (or “experiences” as she keeps saying). So, I did two simple/unplanned experiments this week. I choose color based experiments to reinforce what we have been learning in art. The first was one was this great color water travel experiment that I saw here. We actually went through the scientific process on this one, and discussed what we thought would happen, observed the change, and discussed why it happened. The second experiment was what should have been a simple discovery bottle. This project almost got scrapped, but once I figured out how to hold the shaving cream and actually get it into the bottle instead of all collecting in it’s mouth it was saved. Cricket really enjoyed mixing the bottle and watching the colors separate over and over again, so I’m glad I made it work. This week we journeyed to Thailand via Expedition Earth. Cricket was so excited to be learning about countries again, and I think she jumped for joy on Wednesday when I pulled out the animal cards! We continued to the next lesson from Pineapple Paintbrush regarding color tones. Cricket used pastels to fill in the color sheet, and enjoyed smoothing them for the first time. When she was done, we cut it, and folded it. Then you could look at it from the end and see either the cool colors or warm colors. Cricket did well on her test once again. She aced the written part; writing all five of her words for the week. She also did very well on her oral exam. She only missed one question overall. Cricket couldn’t remember the continent we are studying. Luckily we have a few more weeks there, so maybe next week will be easier. Cricket really wanted to put on a puppet show for her dad. So, she developed a story, and worked on perfecting it. She is getting much better at holding the puppets and moving them in meaningful ways. She also told a good story when all was said and done! After successfully making it through a week and three days of school, and actually working ahead of schedule Cricket was too sick for school on Thursday or Friday. Since we were ahead on somethings, it was fairly easy to catch up today on what was left. She was a little on the whiny side today, but considering she is still sick she did very well. Cricket is doing more and more of the daily work independently. Here, she is picking the number word for how many days of school we have done so far. Cricket began a new Word Wall system this week, with the understanding that she would have her first ever test at the end of the week. Through out the week we cheered the 5 words, watched a power point for the words, did a Read Trace Sticker and Write activity, made the words out of playdoh, and reviewed the each day. I also introduced the _an word family and we made playdoh words for them too. We continued reading The Trumpet of the Swans. Cricket took a great deal of time this week reenacting scenes from the book, and adventuring like Sam. I love how it has sparked her imagination. We did one notebook page on the Olympics this week, and Cricket choose to write about her favorite athlete Gabby Douglas! We continued our dinosaur theme this week. Cricket made more new words this week from Stegosaurus and Diplodocus. These words were a little trickier to pull from and I tried to let Cricket be in charge of the word finding. This resulted in a much smaller list, but it was still a great learning opportunity. We built another Triceratops model. This was was much less frustrating than our tiny model last week, and Cricket enjoyed being able to help more. Cricket really enjoyed these sequencing worksheets from 3 Dinosaurs. To reinforce our words for the week, I mixed the words into the dinosaur sensory bin. As Cricket found the words she read them to me, and then checked it off on the sheet. When she finished we discussed what there was the most of and the least of. In our work this week Cricket colored our verse display, reviewed it daily, traced the verse, arranged the words from the verse, and discussed what it meant. In our first ever homeschool test Cricket did amazingly well. First, we did the written part of the test, and I asked Cricket to write out our five word wall words for the week. She wrote all of them correctly; great start. Then for the “oral exam” I asked her a few questions and wrote her responses. I was so proud when she was able to recite the verse from memory including Chapter, book, and verse. She went a little crazy decorating the paper with some leftover A stickers from our letter A week. Cricket continued working through her Horizons math book, but all of a sudden she isn’t wanting to do it. She will do any other math work, and if I give her the work from the book to do she does it fine. We are even doing Algebra style or “letter a” problems as Cricket refers to them. She is solving them in her head or by talking them out just like she does addition or subtraction. We were going to do a science experiment on melting crayons with the heat of the sun. This was as far as we got. The weather didn’t cooperate with my plans so we will try again next week. As we prepare to start back to Expedition Earth next week, we did a review this week on Earth and the seven continents. One thing that we weren’t able to finish due to Cricket being sick was our paper mache Earth. I managed to get one layer done, with minor assistance from Cricket who wasn’t at all about the messiness. I think she will enjoy the painting part, but that will have to wait until next week. This week I think we did Cricket’s favorite art project ever. It was a lesson from Pineapple Paintbrush regarding color mixing. She loves painting, but her eyes truly lit up when I handed her that spray bottle. Here is a closer look at how the colors mixed once they were sprayed and how the project turned out. Cricket managed to make it to one of her swim lessons before she got sick. She swam! Only for a minute, and then she panicked but at least now I know she has all the skills. She has been begging Daddy for more drum lessons, but she hasn’t been wanting to put in the practice time between lessons. She did a little better with that this week though, and I think she would have done more if she hadn’t gotten sick. If you have been following our blog, then you will probably notice that our plan is very similar to last year. Some things we didn’t finish up and somethings we are repeating with a twist. I have something planned each week for these areas. Most of my art ideas are coming from this amazing site Pineapple Paint Brush. I also have theme work planned for Cricket that will reinforce other areas. These themes have all been Cricket approved. 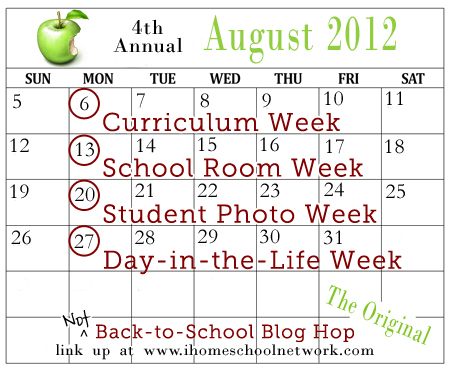 I’m linking up at the NOT Back to School Blog Hop! Week one of Kindergarten is complete! Cricket and I had a fabulous first week of school. She was so excited to get back into a school routine, and the excitement and enthusiasm haven’t ebbed yet. She was even asking for more school than we did almost every single day. I can only pray to maintain this through out the year. On the first day of school, Cricket dressed up and I took pictures of my big girl. Here is her special hair do. We also completed this list of her favorite things. I am so glad we did. I am holding onto her sweet little girl answers; realistically how much longer can I keep her favorite song as the “ABC song”. I kept the same main daily board as last year, as Cricket enjoyed it and we are still working on some of the concepts. I also added in a few notebook pages including a number of the day worksheet. One of the things that I added that Cricket really enjoyed was making words from a larger words. We worked from Triceratops all week long, since we were also studying dinosaurs. I was surprised by how much Cricket looked forward to this, and really thought about it even outside of the school room. We ended up with 76 words, and she was quite proud of that. As I just said, our theme this week was dinosaurs, per Cricket’s request. We also learned about archaeologists, and their work. Cricket loved excavating the Triceratops bones from the “egg”, I however did not enjoy attempting to assemble the tiny flimsy bones. The point of this activity was a shadow match, but I was really impressed by how well Cricket did on the cutting. She really took her time and did an excellent job. She also easily completed this Melissa and Doug floor puzzle. Cricket, and her stuffed animal, spent a little time playing with the sensory box I had provided her. She enjoyed naming the dinosaurs and making roaring and stomping sounds though. Cricket reviewed her memory verse all week, and almost had it memorized by Friday. I was impressed by her effort to work on it though. She even insisted on copying it down herself one day. I am really looking forward to diving into Raising Rock Stars again next week, and I think she will do quite well based on this week. Cricket and I reviewed her existing word wall through out the week, and progressed on her consistency. She also worked on reading a short a book through out the week by: listening to her Tag reader; reading with assistance from it and me; reading independently; and reading to her baby. For our read aloud time we began reading The Trumpet of the Swans. Cricket chose this because she so enjoyed our last book by E. B. White. I also decided to get Cricket started after notebooking, after reading the posts here. Our first notebook entry was on Blue from Rio. We will work towards more writing by her as the year progresses. I actually did more math than I had planned this week. Cricket did 2 lessons in her Horizon Kindergarten book. We also covered counting by 2s and 5s. She also did tons of addition and subtraction on paper and in her head; this is just something that gets thrown in all day long as well as into whatever else we are working on in school. I had several beautiful and interesting dinosaur prints and Cricket enjoyed working on them through out the week. She used watercolor, pastels, and metallic paint. Cricket finished up her summer gymnastic and swimming lessons this week. She is not quite where I hoped she would be as far as her swimming ability, so I signed her up for a couple of additional lessons next week. She also began her typing lessons, after much begging and pleading. She did better than I expected her to, but she still has room for LOTS of improvement. I think that about wraps up week one.